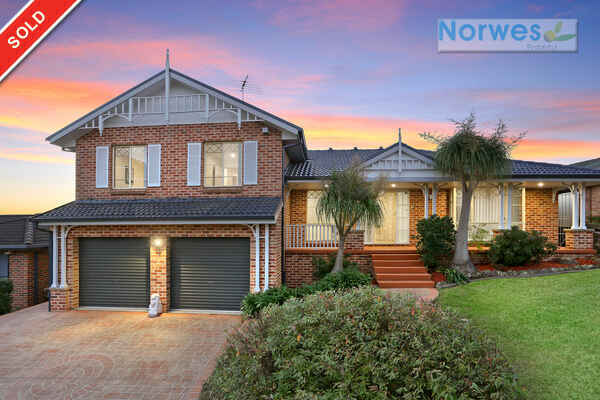 Norwes Property is proud to offer you this immaculately presented split level family home offering everything...and more. 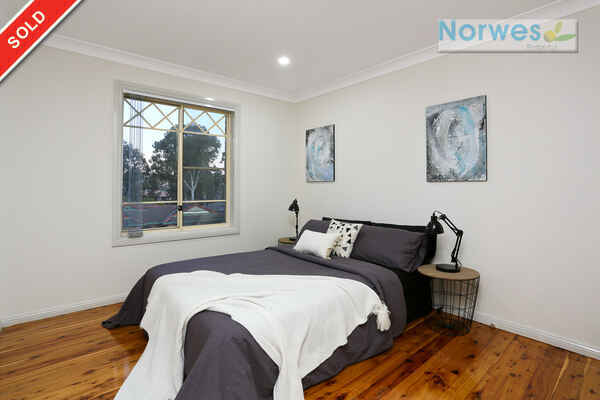 - Property boasts four (4) good size bedrooms + study. 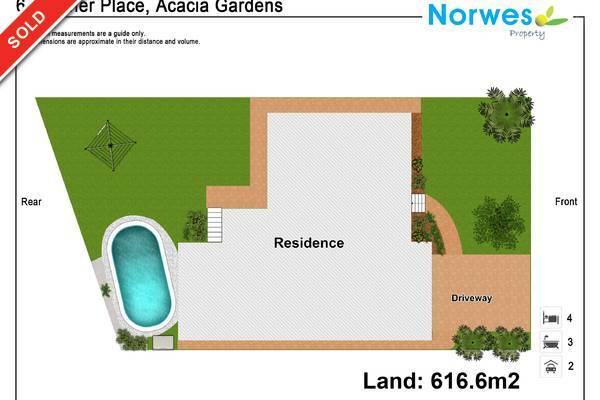 - Walk in wardrobe and ensuite to main, and built-ins to all other bedrooms. 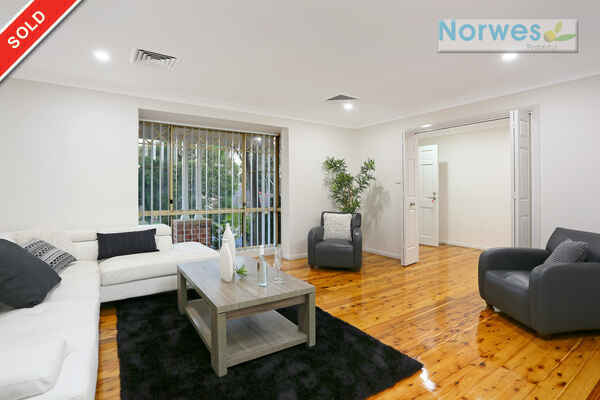 - Separate formal lounge & dining, separate rumpus room and family room. 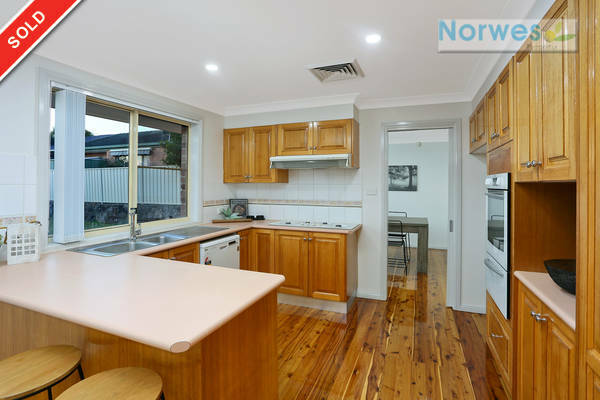 - Kitchen with views of the backyard; gas cooking, range-hood + dish washer. - Two main (2) bathrooms plus corner spa-bath upstairs. - Ducted air conditioning system upstairs. - Ample covered space to entertain out-doors and inside. 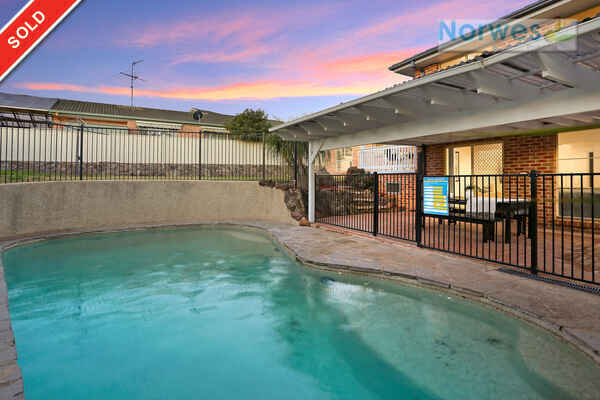 - Salt-water in-ground swimming pool plus alarm system. - Double (2) lock-up garage plus dry storage under the house. 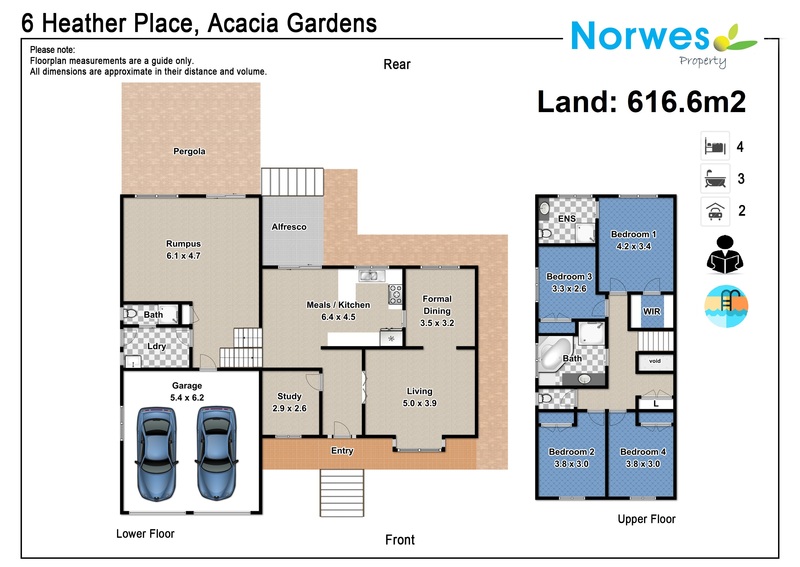 - Ideally located in Acacia Garden, handy to Stanhope Village Shopping Centre. 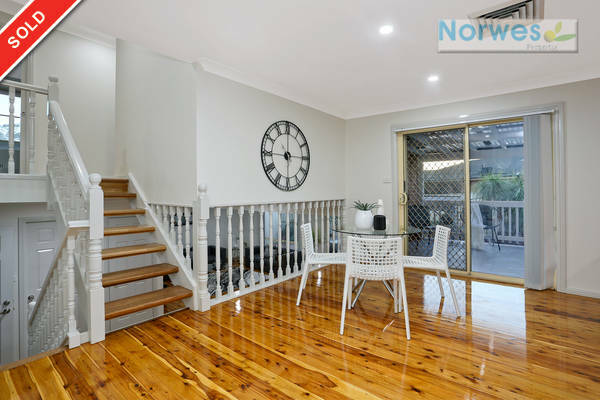 - Walking distance to Quakers Hill East Primary School. Currently vacant awaiting the next family to occupy this beautiful residence. 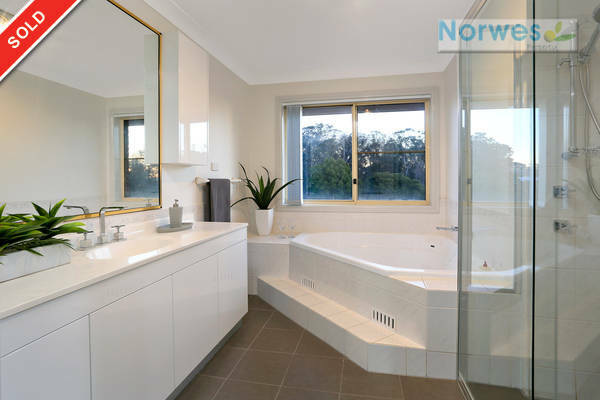 Tastefully renovated bathroom and ensuite plus freshly painted through-out. 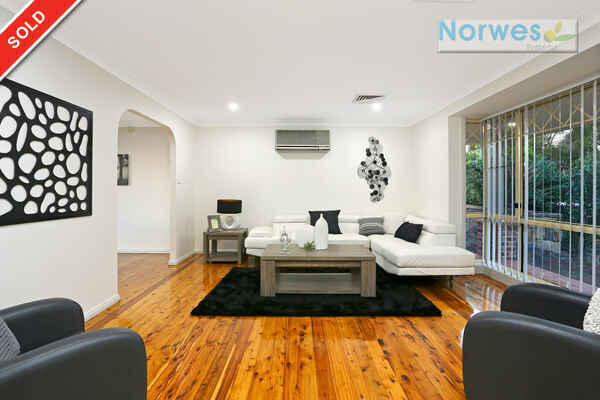 You will enjoy the recently polished cypress timber floors through-out. Block size is approx. 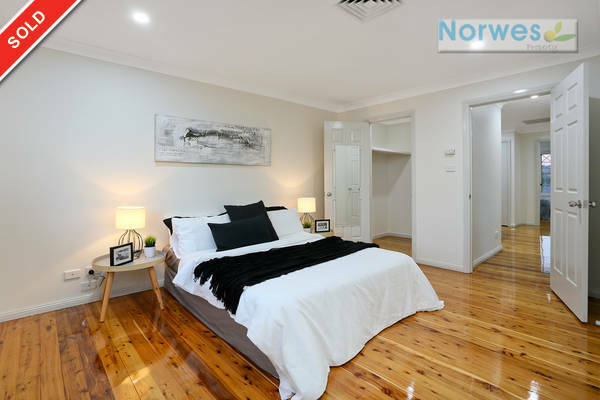 616.6m2 located on the high side of the street, with gas cooking and hot-water system. 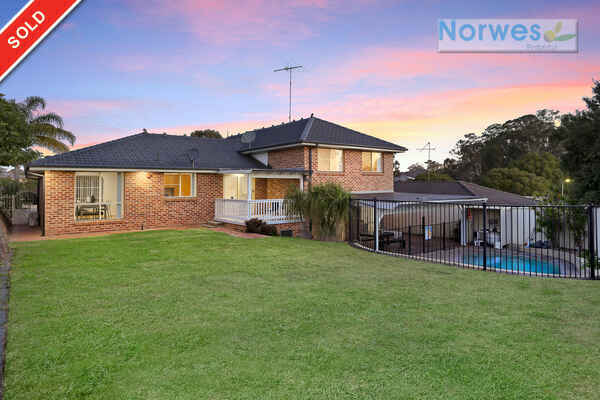 Ideal For: Family who will enjoy the living spaces inside and outside. 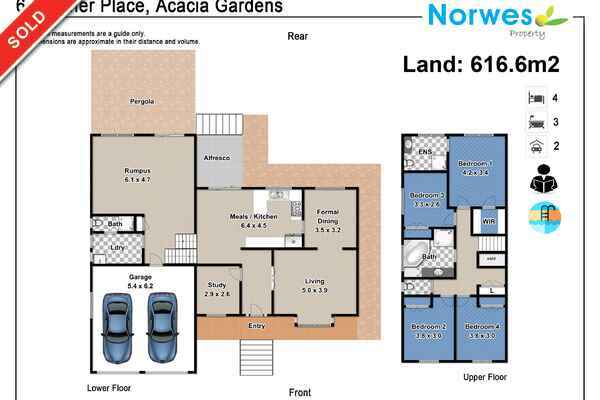 Rental Potential:$665 to $685 Per Week.